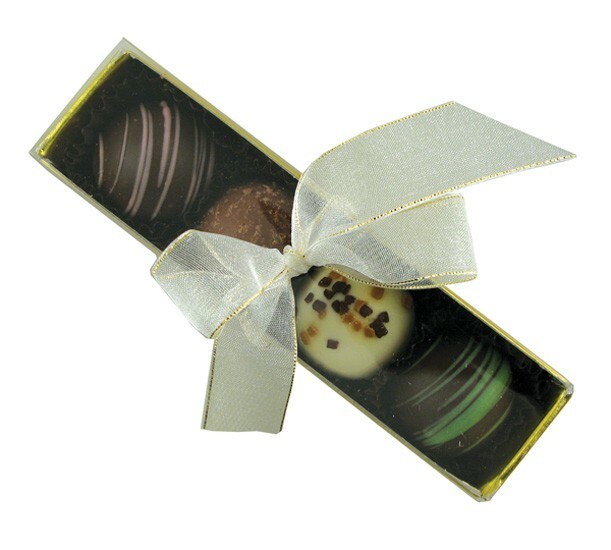 Sleek and stylish 2.4oz box filled with 4 chocolate candy truffle confections. Choose your flavors and ribbon color. Includes up to 4 color process imprinted label applied to the sleeve. Boxes available in Metallic gold or metallic silver.